Enhance your smile with cosmetic and general dentistry from our team of Brookfield dentists at Advancements in Dental Care. From teeth Whitening to dental implants and invisalign, our cosmetic dentistry center in Brookfield offers an array of dental procedures to clean, straighten and brighten your teeth. ARC has 6 outpatient orthopedic physical therapy clinics in Chicago and the Western Suburbs. We specialize in the treatment of low back, neck, shoulder and knee conditions. Our Westmont clinic also has physical therapists specializing in women’s health conditions and pelvic floor dysfunction treatment. We are committed to providing cost-effective, personalized care that results in superior outcomes and lasting solutions for painful and debilitating conditions. Dr. Glen Batson graduated from Palmer College of Chiropractic, treating patients with neuro-musculoskeletal conditions and providing relief from pain to Chicagoland since 1989. Batson Chiropractic is conveniently located on Route 83 in Willowbrook. Dr. Batson invites you to contact our office (630-323-1181) and explore the ways that chiropractic care can benefit your health, life, and well-being. Member of WBR Chamber of Commerce. Mike and the Giliano Group have been named the in the top 1% of all Chicago Realtors and the Most Influential Realtors of Crain’s magazine. The team strives to give 100% to each and every one of their clients by gaining their trust and bringing a personal touch to each transaction. The Giliano Group can assist with all real estate needs from the City to the suburbs and in Indiana and Florida. Our team of experienced agents brings knowledge in all aspects of real estate from new construction, first time buyers, commercial properties, and rentals. Our telecom customers loved their savings on telecom so much they asked us about saving them on their gas and electric supply costs. We now offer free analysis of energy bills to help save our clients even more! Bicek Telecom offers you Telecommunications Consulting Services specializing in telecom cost reduction and expense management with over 30 years of telecom experience. We will provide clients with a complete audit and free analysis of all recurring telecom expenses including voice, data, and wireless networks. Our expertise and provider relationships are typically expected to deliver a 20-30% or more permanent cost reduction. Our guarantee: No Savings, No Fees. 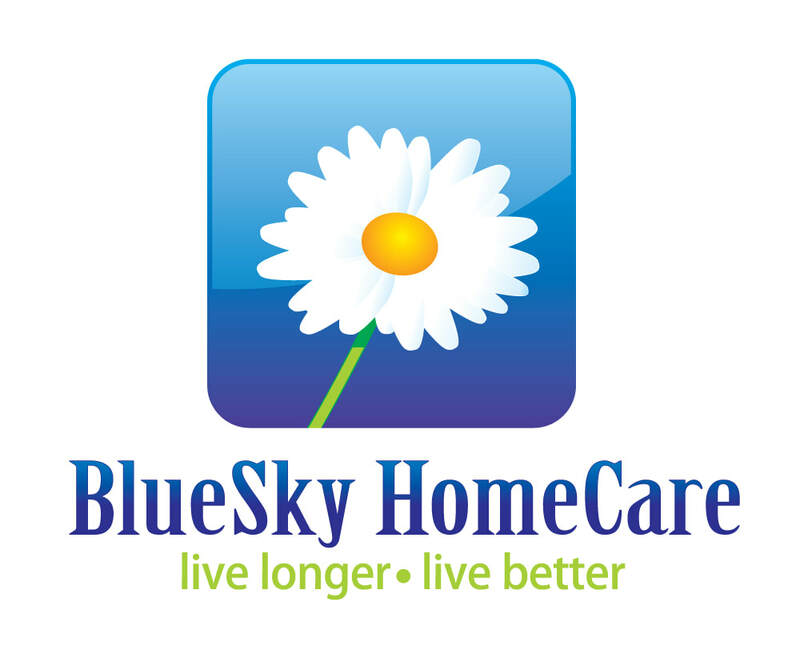 BlueSky HomeCare is a privately owned non-medical homecare company, licensed by the Illinois Department of Public Health, serving the west and southwest suburbs of Chicago. Our sole purpose is to provide excellent and affordable homecare to individuals and their families. If you, a friend or loved one need help around the house with meal preparation, laundry, grooming, medication supervision and more – or just sincere companionship, BlueSky HomeCare is a phone call away with a solution. We offer personalized homecare to individuals managing the aging process, individuals with disabilities and special needs, individuals recovering from surgery or short term illness, and individuals living with chronic health conditions. Our carefully screened and trained caregivers offer assistance with the activities of daily living and are available 24 hours a day, seven days a week, including holidays. We tailor our in-home care services to meet your specific needs. Our services can be scheduled from as little as 1 hour to 24 hours a day. If you believe you or a loved one would enjoy the satisfaction of receiving non-medical homecare assistance and personalized companion care from the comfort of home or any type of residential setting, you may be interested in becoming a BlueSky HomeCare client. BULLSEYE CLEANING SERVICE, INC. has been the leading provider of commercial and residential cleaning services in the western suburbs of Chicago since 1980. Why work with multiple cleaning companies, when Bullseye provides the convenience of working with a single dependable company to meet your cleaning service needs. The company has 18 crews who clean more than 40 businesses throughout the suburbs, including a few clients that have been with Bullseye from the beginning. Bullseye Cleaning Service also offers residential services such as window washing; tile, wood and ceramic floor cleaning; and carpet and upholstery cleaning with a $50,000 carpet machine on wheels. Whenever possible, we prefer to use natural products. We handle all sorts of jobs, including damage from fires or floods. Your offices and homes are safe in the hands of our workers. Michael Simmons trains new employees himself, teaching them the right way to do the job. The Daisy Field Life is the first and only magazine specifically for the residents of Clarendon Hills. As a lifelong Clarendon Hills resident, it is my pleasure to create something that the community enjoys reading each month. The magazine, which has been in print for about 5 years, offers content that is 100% generated by the residents of the town. Each month, we feature a local family or resident, a pet, a home, and even someone in the community who has done volunteer work or is making a difference. We will also be opening up a magazine in the Woodlands neighborhood in Hinsdale in mid-2019. ​From my family to yours, trust that you will be in good hands. ​Whether purchasing, refinancing an existing mortgage, or putting the equity you’ve spent years building to use, I can help. all while using the latest ONLINE INNOVATIONS to make the loan process simplified and smooth. With a full range of purchase and refinance products, we will choose one that best suits YOU, not the bank. Created by a group of technology gurus with over 50 years of combined experience, The Isidore Group is a technology support company that specializes in IT Managed Services, IT Consulting, Unified Communications, IT Security, and Cloud Computing. Our highly trained and certified technicians and engineers specialize in an array of technologies, geared to meet the needs of most small and medium businesses (SMB). Located in Burr Ridge, just outside of Chicago, The Isidore Group provides technology solutions to SMB’s throughout the Chicago area including Bolingbrook, Burr Ridge, Chicago, Downers Grove, Lombard, Naperville, Oakbrook, Schaumburg, and Willowbrook. Additionally, our clients have locations across the country and around the global, and we fully support from our office in Burr Ridge. The Isidore Group excels in providing solutions that bring people together, and we specialize in creating highly collaborative environments among work-from-anywhere workforces that span the globe. We pride ourselves on doing the right thing. Our goal is to give our clients with the highest level of service while providing the best possible experience. For this reason, we position The Isidore Group, not as a vendor, but instead as a technology partner–just as invested in your company’s success as you are! ​LegalSheld is a 40+ year old company partnered with Kroll Advisory Solutions, a 40+ NYSE company, our identity theft provider. Tell me your goals so I can bring your vision online. My job is to help you captivate new and existing clients to generate more business. Personalized and dedicated design will create the web site you've always wanted. Milano Day Spa & Wellness Center, An Oasis for the Soul. We offer massage, facials, nails, body treatments, health coaching, acupuncture, Reiki, reflexology, Chakra balancing, sauna, and Bemer Therapy. We have products for the body, the mind, and the soul to keep you centered and balanced. We offer Young Living Essential Oils. Our therapists and technicians are second to none. Come in for a relaxing treatment and enjoy tea, coffee, or flavored water during your stay. The founders of Monarch Accounting Group, Inc. each have over thirty-five years business experience in the financial accounting field. The primary mission of Monarch is to improve the lives of our clients by helping business owners and individuals improve their financial position. Our C.P.A.s are committed to providing clients with the highest level of accounting, tax, payroll and financial consulting services; customized to meet their needs. The staff can provide valuable insight into all aspects of a diversified array of manufacturing and service industries. Our backgrounds include extensive experience in both small and medium size businesses. We are certified Quickbooks experts and utilize one of the most highly regarded tax preparation programs available. For a no cost consultation give us a call to see how we may be able to help you. 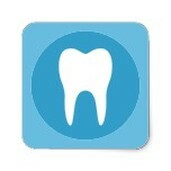 Visit our website at www.monarchaccountinggroup.com for more information about our firm. As a full-service business solutions provider, Proforma has assembled a complete offering of products and services to handle all of your Business, Advertising, and Promotional needs. Our breadth of services range from custom promotional products and wearable's, to implementing fulfillment and direct marketing campaigns. Proforma helps you connect with your audience. RelationshipStore Counseling & Coaching Center exists for the purpose of bringing healing, understanding and harmony to people and relationships of all kinds. We believe that relationships play an important role in most areas of our lives, and keeping those relationships healthy is vital. Our compassionate, caring and expert staff provide individual and couples counseling and coaching to help with the challenges you may face. Anxiety, anger management, depression, trauma, addiction and couple and family issues are the areas of expertise in which we can help you. RelationshipStore also provides trainings and workshops for businesses and the community on a variety of topics as well as an on-site resource library of books and videos. You can also find a variety of healthy, inspirational and helpful items in our RelationshipStore store! ​CLICK HERE to enroll in LifeLock now. When it asked for a representative name, type in Russell Caforio. As an independent broker, this planning is accomplished by using the products and programs that best meet your objectives. Whether your needs involve individual or group coverage for yourself, your business or your employees, plans are tailored to meet them. This includes life insurance, health insurance, (medical, dental, short term disability, long term disability, vision) disability insurance,(individual disability, overhead expense disability, disability buyout) long term care insurance, Medicare supplements or other insurance products. Reasons for coverage include family security, estate planning, buy sell, key man, stock redemptions, debt security and other needs. If You Own Or Manage A Property…One Call To S&D Does It All!! S&D Prime Maintenance, Inc. is a full-line maintenance and janitorial services company for any size property (residential, commercial or industrial), delivering a wide variety of services, products and solutions since 1981. Whether your needs are large or small, we can help. S&D is equipped to handle any and all multifaceted projects - janitorial, carpet cleaning, carpentry, gutter cleaning, pressure washing, flooring, painting, build-outs, plumbing, HVAC and electrical. Visit our website for a more extensive listing of the services we offer. Over the decades we have established a reputation for customer service, quality workmanship and rapid responsiveness in meeting and exceeding our customers’ expectations. S & W Home Improvements, Inc. Since 1970, S&W Home Improvements,inc. has been providing quality workmanship at unbeatable prices to homes and businesses in Chicago’s West suburbs.We listen to what you want and make suggestions that will enhance your remodeling project. Estimates are free and we will break down an estimate to show you where your money is being spent. We treat your home as if it was our own. If we don't do the work you need done, we will refer you to someone who does, so never hesitate to call S&W for any remodeling needs you may have. We also do "Honey Do List" so you can email me with all the little things you need fixed. Remember, "if a company offers you "Free Labor", your paying way to much for material"! For over 60 years, generations of families have counted on Shaklee to do what no other company can do quite as well...make products that are naturally safe AND proven effective. As your local Shaklee Independent Distributor, I am here to provide a Healthier Life For Everyone and a Better Life For Anyone. As a Shaklee product user for over 45 years and distributor for 41 of those, I have experienced firsthand the benefits that the Shaklee products can do for your health & lifestyle. With healthy living products for all areas of your life, Shaklee products are Always Safe, Always Work, and are Always Green. At Shelter Home Inspections, LLC, we conduct home inspections and radon testing for our clients that have made a purchase decision and would like to know the condition of the home they are under contract with. However, we do inspections for home owners that will be placing their home for sale and want to cut out the surprises of a buyers home inspection. Our reports are emailed to our clients, brokers and attorneys upon request. "We exist to equip the members of God's family to extend Christ to the world." 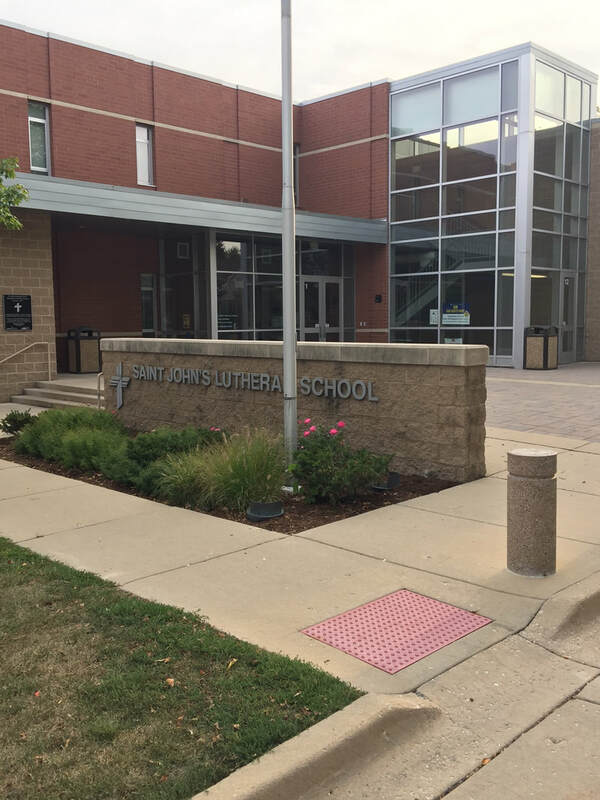 St. John's Lombard - Where academic excellence and a lively faith go hand in hand! Sterling is a 42 year old services company that specializes in providing Engineering and Technical Staffing to Chicagoland and Milwaukee areas. Whether you are looking for a short-term contract or a long-term career, Sterling Engineering, Inc. can help you find it! Sterling helps talented individuals in the engineering and technical fields find Contract, Contract-to-Hire and Direct Hire employment opportunities. As a result of strong relationships developed with Large, Mid-Size and Small companies over the last 40 years, Sterling is able to offer many unique short-term and long-term opportunities that may not be available through other avenues. We pride ourselves on having retained the Top Engineering Talent in the industry by offering a Comprehensive Benefit Plan and having respect and concern for our employees. Trinity students receive one-on-one attention and it shows because they test 1-3 grade levels ahead of their current grade level. Opportunities for Advanced math and literature classes.